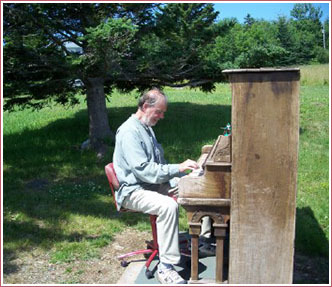 Edward Lemond has lived in the Moncton, New Brunswick area since 1993. Before that he lived for 24 years in Halifax, Nova Scotia. He grew up in Long Beach, California and Lafayette, Indiana, and came to Canada in 1969. He was a bookseller for twenty-one years, first in Halifax, then Moncton. He was one of the founders of the Northrop Frye Literary Festival, and co-chair of the Program Committee from the first festival in 2000 through the April, 2011 festival. He started the Attic Owl Reading Series, held monthly in Moncton since 1994. He is a novelist and poet, and has recently completed a cycle of 365 poems called Circadiana.